Season Passes activate superfans and help your team build a loyal following. They can also help you secure some guaranteed revenue so you’re not relying 100 percent on individual match sales throughout the season. If a fan decides to stay home because of a little rain, the revenue from their Season Pass has already been collected so your bottom line doesn’t suffer from the inclement weather. It’s not just about the money. Fans love Season Passes, too. A Season Pass gives your most loyal supporters guaranteed entry to every match without the hassle of buying individual tickets. There’s also a VIP factor to Season Passes. Whipping out a real card – not just a paper ticket – with your name on it shows everyone around you that you are not just a casual fan. You are a devotee. An honored guest. Part of the FC Nation. But Season Passes only work if they are easy both for you and for your fans. How do you set them up? What happens at the gate? How can you make sure the same pass isn’t being handed back through the line to four or five non-paying guests? We’ve got the answers, along with some easy tips on how to make the most of Season Passes for your team. If you’re using SoccerStub, it’s simpler than mastering a pullback. Once your matches are set up, head over to Bundles to create a Season Pass. Click the “New Bundle” button, give it a name (e.g. Season Pass), a price, and a brief description. Then select “Add Item” next to Bundle Items below the description box. Select a ticket type such as “General Admission” from the drop-down list, and select a match. You’ll want to add every match in your season to the Season Pass. You can set up your Season Passes on SoccerStub in an hour. We’ll help you do it. What if I don’t know our season schedule yet? That’s ok! Create generic names for each of your anticipated matches, like Match 1, Match 2, Match 3, and insert any random date in the future for each match. 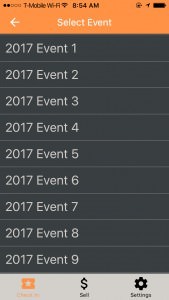 When you know which team you’re playing and the match date, you can update the event names and dates on your dashboard. Those will automatically sync with the Season Passes. What happens when Season Passholders arrive at the gate? We suggest using a plastic card with a scannable QR code printed on the back for Season Passes. 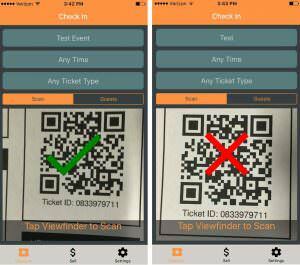 When they arrive at a match, the passholder shows their card and a ticket scanner uses the Passage Manager app to scan the barcode on the back of the pass. A list of match dates will pop up on the app. The ticket scanner simply checks off the date for today’s match. And you’re in! It takes about two seconds. Scanning the QR code ensures that the pass cannot be used again for that game. It also allows you to track which matches a given passholder attended, giving you industry-best tracking and data around match attendance. You get access to their email addresses, too, so you can let passholders know when tickets go on sale for next season or send information about special opportunities during this season. All guest information is available on your SoccerStub dashboard and can be downloaded to a CSV file or integrated with your email marketing software using Zapier. Special perks can add value for Season Passholders. 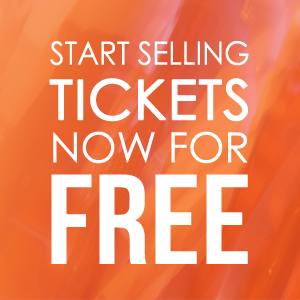 Offering perks or incentives can help make your team’s Season Passes a hot commodity. Even if they don’t plan on attending every single match during a season, those exclusive benefits will make every fan want one. Here are a few low-cost or free perks you could offer your Season Passholders to bolster sales. Partner with local businesses to offer Season Passholders special discounts. Fans often have a preferred post-match hangout for drinks and food. Maybe they can get 15% off their bill when they show their Season Pass. Or maybe it’s a non-match day special, to encourage fans to patronize the same establishments during the week when business is slower. You could offer discounts on your own merch, too, if it makes sense for your team. Incentivize them to not just get a T-shirt, but a scarf, hat, hoodie, the works. Now they can really show their pride for your team. Ready to set up Season Passes for your team? Give us a call at 855.688.PASS, email support@neptix.mystagingwebsite.com or contact us here.